NIU’s Convocation Center will host its first-ever Science, Technology, Engineering, and Mathematics (STEM) festival from 10 a.m. to 5 p.m. Saturday, Oct. 23. The event, an expansion of the popular Spooky Science Saturday, is intended to increase awareness of STEM fields and the roles they play in society. STEMfest will provide the public an opportunity to learn with fascinating and exciting demonstrations, presentations and more than 100 entertaining hands-on activities. Nearly 150 volunteers and alumni are expected to participate at this year’s event. NIU students will be involved in demonstrating STEM principles, assisting parents and children with experiments and explaining the science behind abnormal phenomena. Chokshi recognizes the importance of exciting children with STEM activities. “Events like these definitely put STEM on the map. And, if anything, seeing a little boy’s or girl’s face light up when they mix together borax and food coloring to make slime makes the entire day worth it,” she says. Michael Brechon, president of the Pre-Professional Association of NIU, understands the need to introduce STEM to a young audience. As a first-year volunteer, Brechon says he believes STEMfest is the perfect venue for children to find new and exciting ways to spend their time. 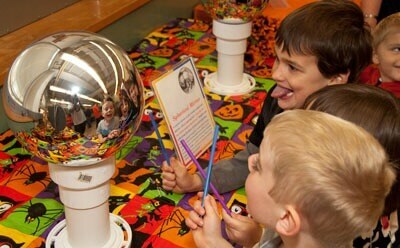 For more information on STEMfest, call (815) 753-1201 or visit www.stemfest.niu.edu.